The practice of banning books is not new. This year Brown Bear, Brown Bear, What do You See? 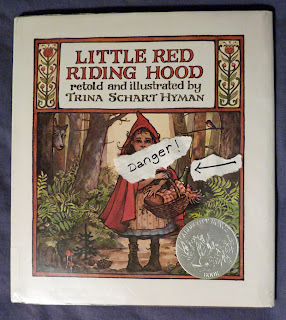 (illustrated by Eric Carle) was briefly challenged, in the mistaken belief that the author had also written an adult book, Ethical Marxism. So has the Diary of Anne Frank. 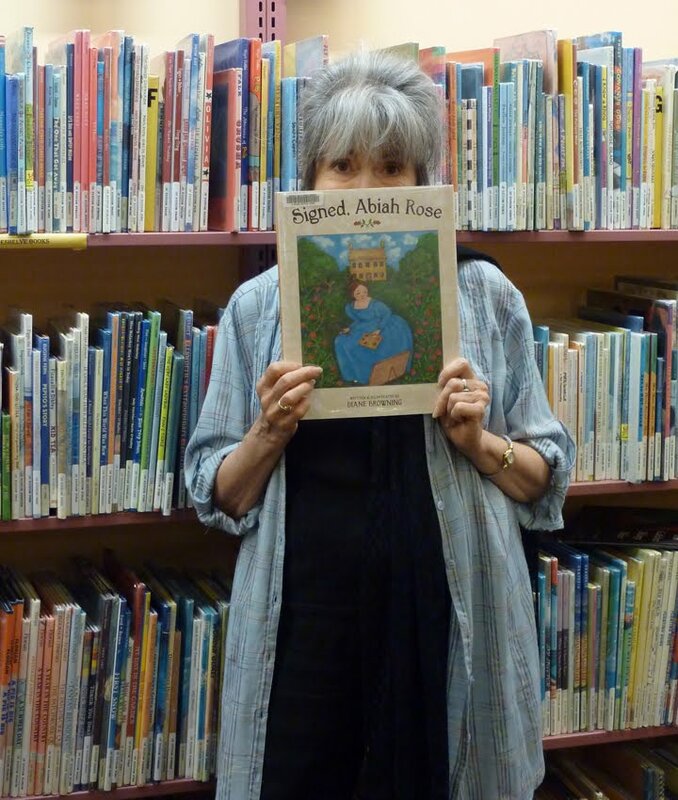 In 1982 the American Library Association took a stand against banning books when librarian Judith Krug established an annual event - Banned Book Week. The purpose was to honor writers, their books and freedom of expression. Book sellers and journalists, authors and publishers associations are sponsoring the event this year. It is mostly due to librarians, teachers and booksellers that most of the books that are challenged are not actually banned. I find it alarming that the opinions of one person might decide for the many what is acceptable to read in a free society. 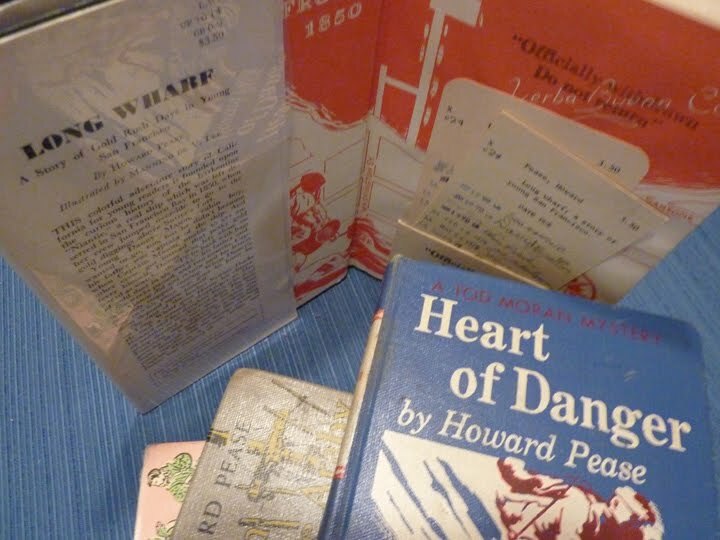 The three main reasons books are banned are explicit sexual content, offensive content and the vague ‘unsuited to any age group.’ Some books are challenged in school libraries for the reason that they might be inappropriate to the students’ age level. The ALA’s basic policy is that only parents should be in a position to restrict their children’s access to reading matter. This week is an important time to teach about the First Amendment and to remind us all of the dangers of restricting information. 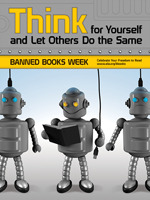 As this year’s Banned Book Week poster reads, “Think for yourself and let others do the same.” Wise and fair advice. 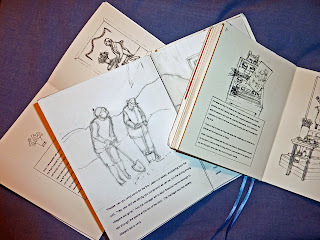 When designing my characters for a new picture book it’s wonderful to just play – sketch, doodle, plan out details. I also make notes to remind myself later of ideas I’ve come up with. It’s a good place to keep track of pertinent research references, too. I experiment with wardrobe, animals, houses, whatever might be used in an illustration. I like to plan the characters, even before the thumbnails and dummy designs. 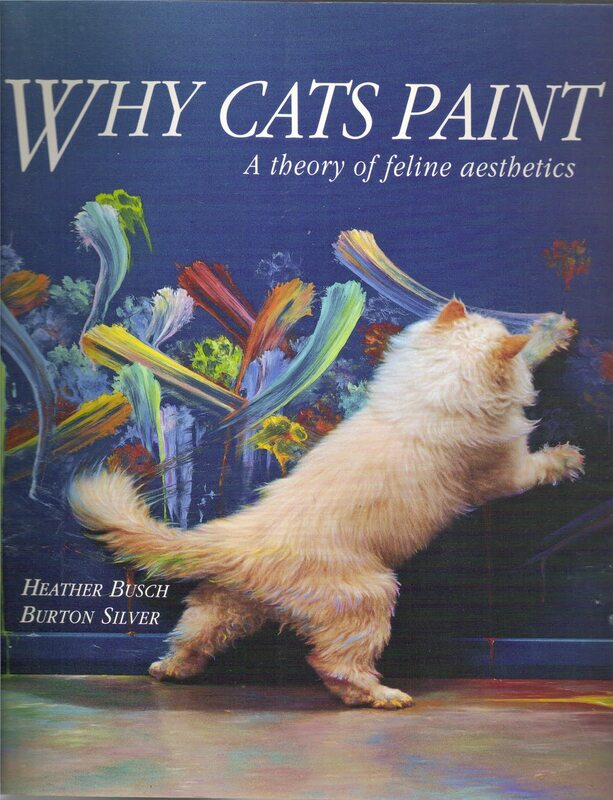 Ten Speed Press published a fantastic book called Why Cats Paint several years ago. The Cleveland Plain Dealer said it “took the art world and animal world by storm with its unprecedented record of cat creativity.” In fact, it is a hilarious spoof of modern art and what I’ve always considered to be the often pretentious world of fine art. Even knowing the book is an elaborate joke, one can’t help believing bits of it and toying with the idea of what your cat might do with a canvas or wall or floor or couch -- and some paint. From my experience as an artist, actual cats are more likely to show their feelings about your work by sitting on it or walking across it than they are to create their own art. 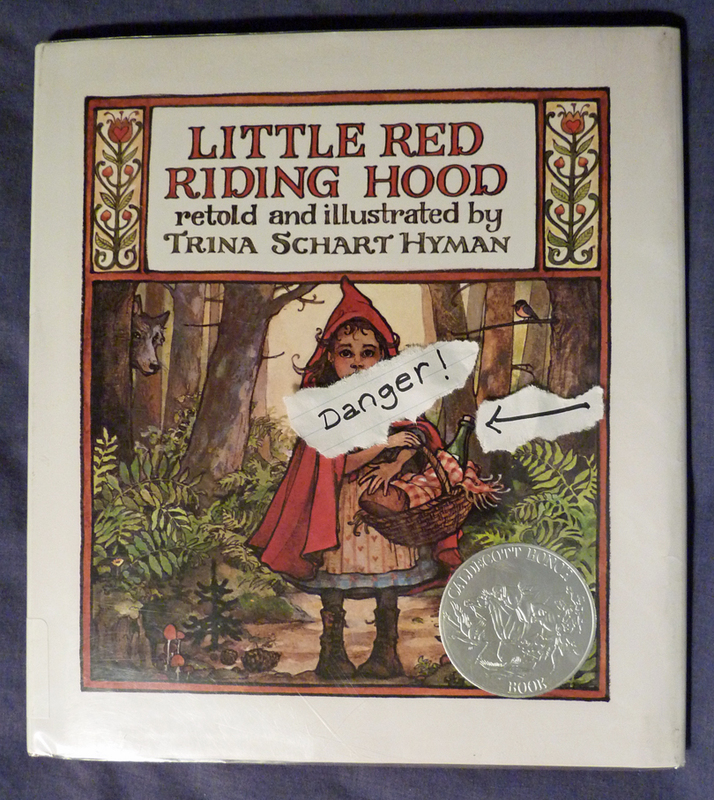 Several years ago I heard the wonderful illustrator Trina Schart Hyman speak about her work and her cats. She was a devoted cat lover. 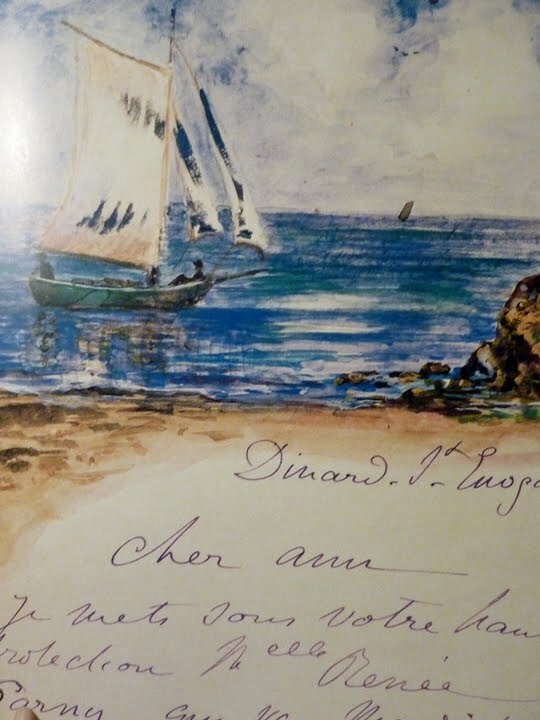 Apparently one of them spilled ink, or paint, onto a finished illustration just before she was to send it off to the publisher. I’m sure every cat-loving artist can relate to and sympathize with this horrifying prospect and has their own tales to tell. At last night’s SCBWI Illustrators Schmooze we had demonstrations of ways to make dummies for our picture books. In November our yearly Illustrators Day is coming up, with a chance to display our portfolios and dummies for editors and art directors. I am re-working a dummy for my latest project and looking back at past ones, as well. The level of finish in a dummy varies from one artist to another. I’ve seen extremely rough ones to something that looks like an actual book. When I studied with Uri Shulevitz the dummies he showed us, and had us make, were extremely rough. 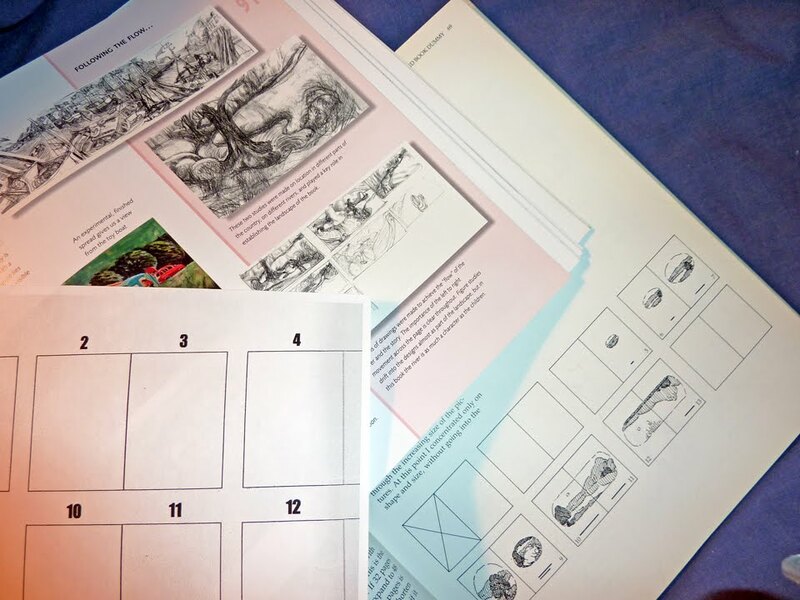 Some editors and agents like a dummy with completed sketches, close to what the final will be. Others are OK with very loose sketches showing you have thought of where the text will go and blocking out the action, pacing, page turns and rhythm of the book. 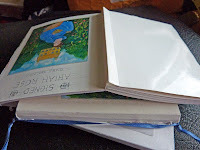 As a beginner you should always include two to three finished illustrations and perhaps the cover. You can photocopy your finishes and glue them into the dummy. Keep a backup copy when you submit your dummy, in case the editor or art director or agent doesn’t return it to you. In previous posts (June 23-25) I have directions for a dummy construction I use for most of my dummies. Two of my favorite books, which have helpful chapters on picture book dummies, are Writing with Pictures, by Uri Shulevitz, and Illustrating Children’s Books, by Martin Salisbury. September is both Self-Awareness and Strategic Thinking Month. Throughout the year there are many commemorative possibilities to choose from. 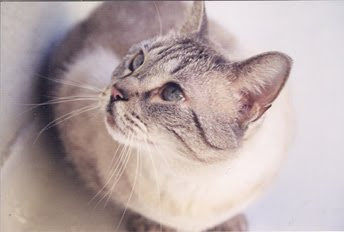 For today's Cats on Wednesday post I'm celebrating Animal Remembrance Month, which is a world-wide observance. I still remember and miss every pet I've ever had. My sister and I bought George and Ringo, a pair of strawberry finches, in Chinatown when we were living in San Francisco. They were wonderful companions. Our cats, however, are especially missed and I don't need a special month to bring them to mind. ﻿﻿Cats on Wednesday is primarily about cat muses, and they were certainly muses to me. My sister and I have come up with countless cat-inspired book ideas which we usually found hilarious at the time. 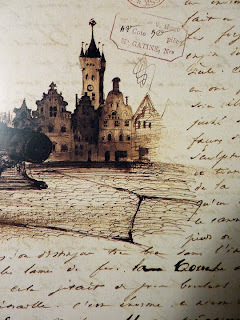 Unfortunately we usually failed to write them down, or having written them down couldn’t later decipher our notes. I do have lists of book titles inspired by one cat or another. I have an unsold picture book manuscript and illustrations about my nature-loving indoor-only cat Scout, and another idea about fraidy-cat Sophie who always ran at the sight of a certain tropical fruit. 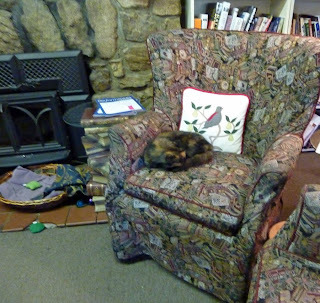 At one time, when my home was apparently known far and wide among the cat population as the refuge of choice, I came up with yet another cat-related manuscript. 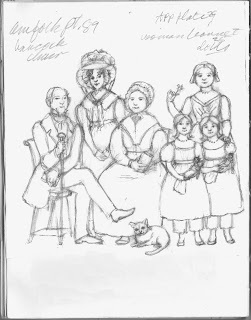 There were Morgan and Thea (feline versions of Romeo and Juliet - devoted to one another); motherly Emily and her adopted daughter Orly; and Alyosha (the battle-scarred and wise alley cat, loved by all the rest). This month is for them, and more – yes, there were more. 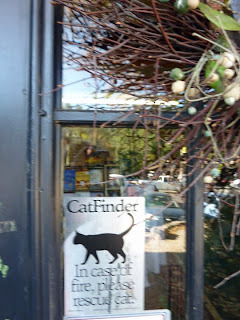 They were good cats, all. 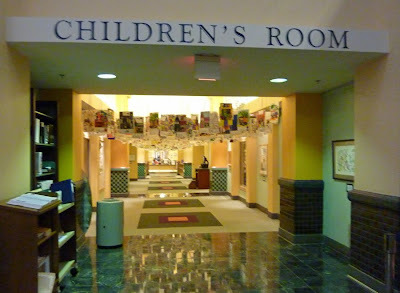 The public library is where I first experienced true magic. 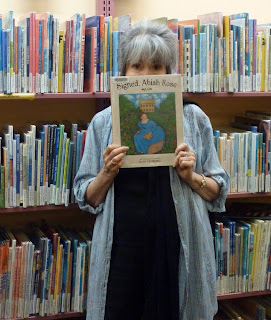 Some of my best childhood memories involve library visits (and visits of the library to me). We lived across the street from a park, so that’s probably why the bookmobile stopped by our house. Or perhaps it was because we always checked out the maximum number of books allowed. 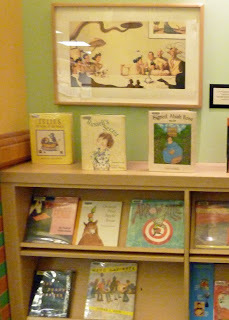 To us the bus interior seemed huge, and there were lots of books to choose from on the shelves that lined the walls. Being able to take the books home and to climb into the big old saggy overstuffed chair my sister and I fought over, to read my books and get lost in all those other worlds was true happiness. I had thought them a thing of the past, but they do still exist, they do still provide library services to locations where libraries aren’t accessible. Bookmobiles have changed with the times. The first bookmobile, 150 years ago, was a horse drawn cart in England which they called the perambulating library. In its first year it lent 12000 books! Today bookmobiles have computers, audio books and even classes -- I’m so glad that they also continue to bring the magic of books to children. 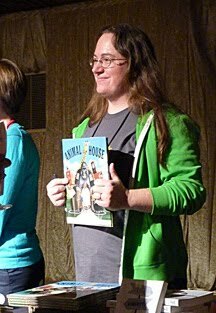 The SCBWI illustrators’ schmooze I belong to is full of talented artists! 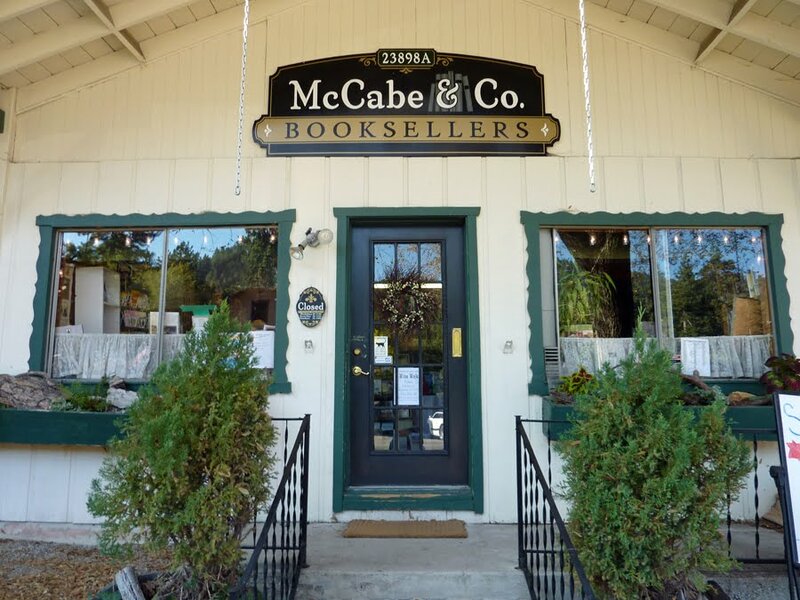 Two of them, Cathy June and Irina Mirskaya, have both illustrated books with multi-talented singer, songwriter and recording artist (and children’s book author!) Angela Russ-Ayon. 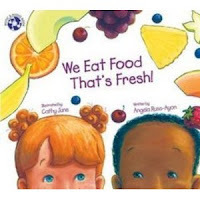 Cathy June illustrated the award-winning We Eat Food That’s Fresh. Her lively, bright pastels illustrate children picking fresh fruits and veggies and preparing food. The book is an entertaining introduction to good nutrition for young readers. 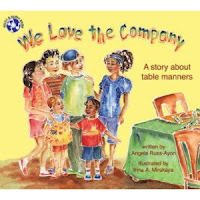 Irina Mirskaya has used jewel-toned colors in a batik technique (using an outlining resist) to illustrate We Love the Company, which makes table manners appealing to small children! She has also included border art incorporating images of healthy food. 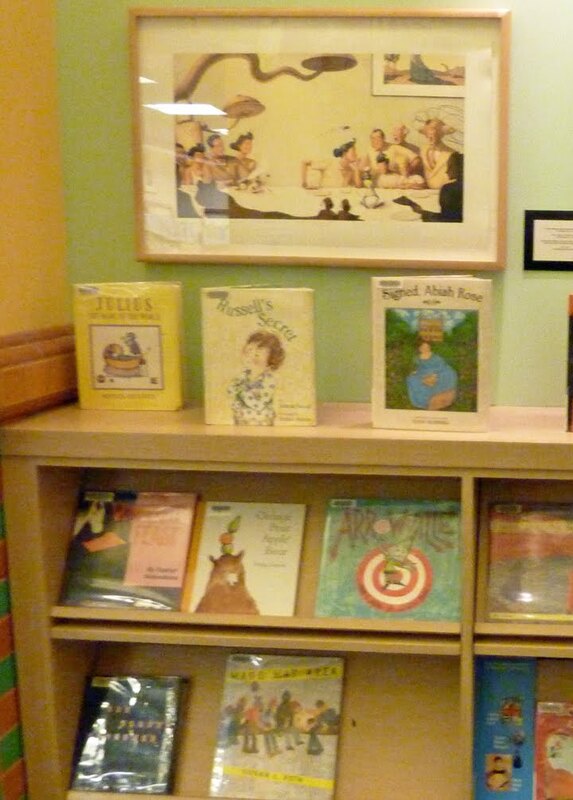 Both books, which include companion CDs, combine fun with education…..and art! 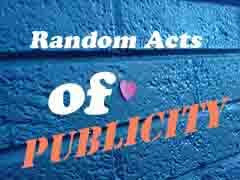 It’s Day 2 of Darcy Pattison's Random Acts of Publicity. It's Cats on Wednesday, too, so I have chosen to promote/review a lovely book featuring a brave cat as the heroine. I met Gretchen Woelfle a few months ago at an author/teacher event and fell in love with her book Katje the Windmill Cat. 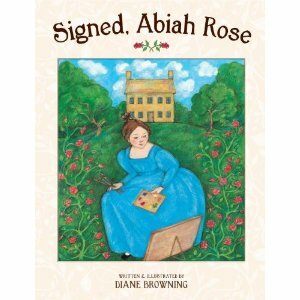 It didn’t hurt that the illustrator, Nicola Bayley, is a long-time favorite of mine. The story is based on a true tale of a 15th century flood which Woelfle first heard about while travelling in Holland. Originally appearing in a different format in Spider magazine, it involves a heroic cat, a miller and his wife and baby. Woelfle has filled in the unknown details with a delightful plot. And she and illustrator Bayley have captured the essence of the feline personality. 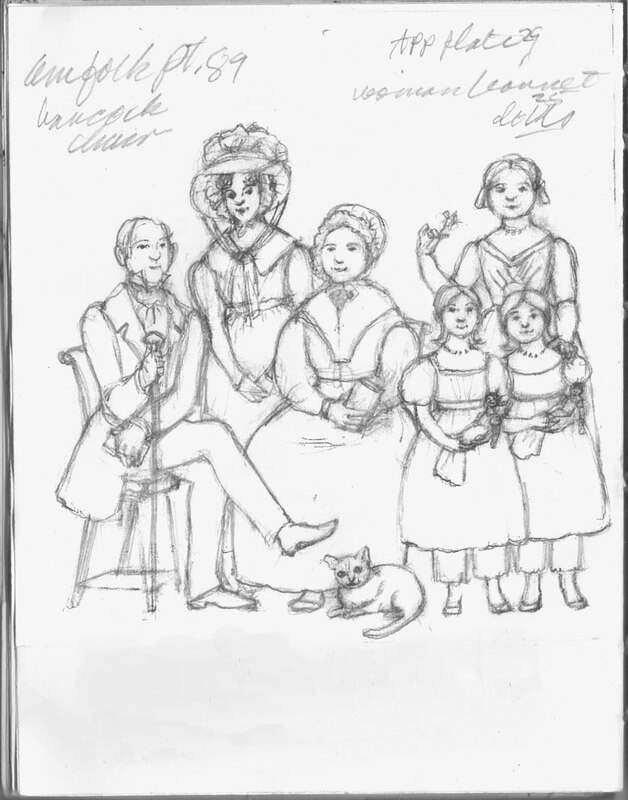 After being the only companion of a miller, Katje is repeatedly shooed aside by the miller’s new wife. To keep her cat dignity intact, Katje moves from the house to the miller’s windmill, but continues to secretly return and play with the family’s new baby. When the dike near their home bursts and the baby is swept away in the ensuing flood, Katje shows heroism and the ending is satisfying and enjoyable. According to Woelfle’s web site, she has three cats – one of which looks a lot like Katje. 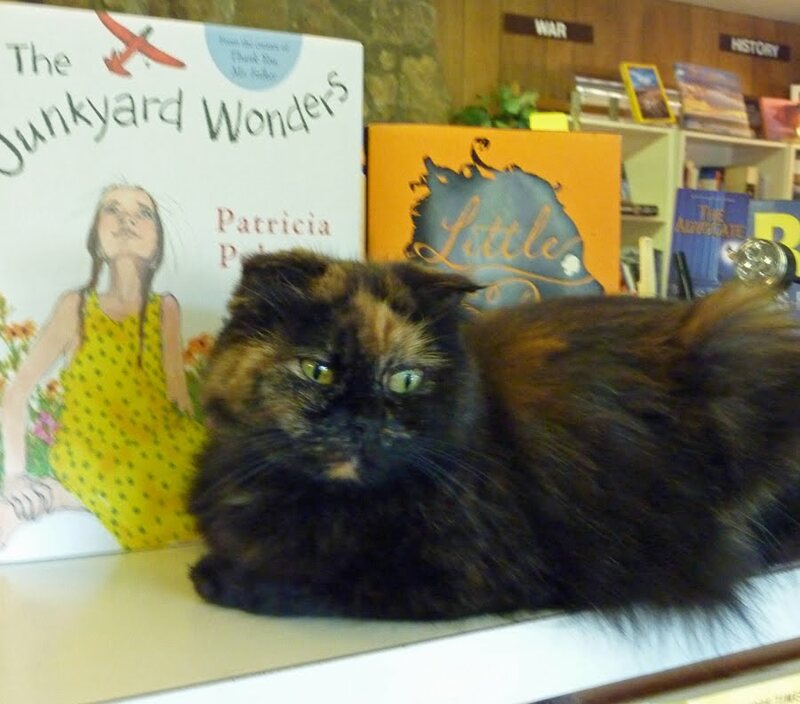 English illustrator Bayley, as evidenced by all the gorgeous cat books she has illustrated, is a cat owner as well. Her watercolor pencil illustrations are detailed and exquisite. The added decorations of small delft tiles, in their traditional blue and white, feature mini-details pulled from the story – the baby, the cradle, mice, etc. 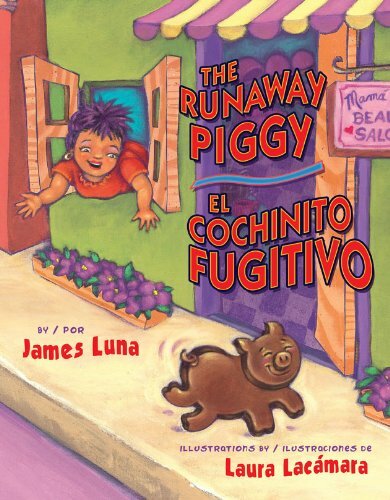 Children love such small elements, which catch the eye and continue to entertain with each reading. 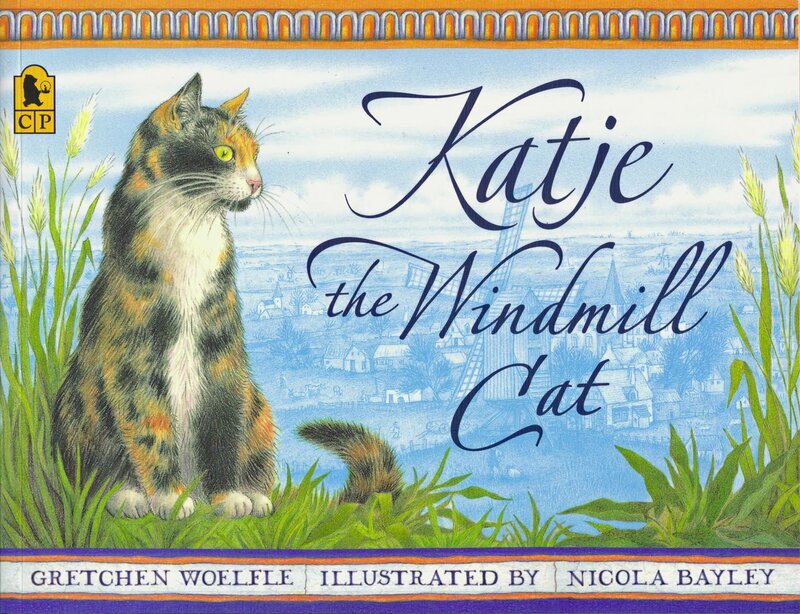 Katje, the Windmill Cat, first published in 2001, is a continuing delight. Last year Darcy Pattison declared the week after Labor Day to be Random Acts of Publicity Week, and this year she’s brought it back. I think it’s a great idea! It’s a week to give support to friends and their books, which helps them and makes you feel good, and what can be better than that! 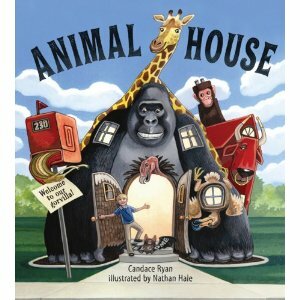 I ordered my friend Candace Ryan’s new book (and she ordered mine) while we were visiting the small but delightful Portrait of a Bookstore a few days ago, and today I want to give a shout out to her wild and imaginative first picture book, Animal House, illustrated by Nathan Hale. Candace has confessed that she “tinkers with words” and I think that is certainly true in the best possible way. Animal House is a clever, rambunctious story and the fun wordplay coupled with the book’s bold, bright illustrations is a winning combination. Hurray for Jeremy, who has to convince his teacher, Mrs. Nuddles, that he lives in a very unique house that consists of very live animals such as condoors, floormingos and the rather dangerous vulchair! And another hurray for Candace, whose second book Ribbit Rabbit (with illustrations by Mike Lowery) is to be released in February 2011 – and she has now sold a third! Candace is an up-and-coming star, and one to watch! 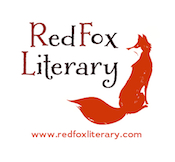 I have very much enjoyed being part of Laura Lacámara’s virtual book tour this week! 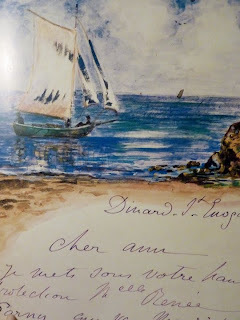 Laura is guest blogging again today, the last day of the tour, to announce the winner of a copy of her delightful book, Floating on Mama’s Song. Thank you Diane, Megan, Tina and René for the wonderful job you each did hosting and conducting the Blog Tour interviews. Many thanks, also, to my fellow interviewees, Katherine Tegen and Yuyi Morales, for your heartfelt responses. It’s been more fun and enlightening than I could have anticipated. Janelle, a/k/a “Brimful Curiosities,” gets a copy of Floating on Mama’s Song. 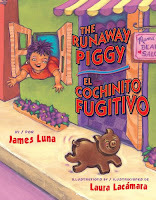 Be on the lookout for my next picture book release, The Runaway Piggy (Illustrated by Laura Lacámara, written by James Luna), to be published by Piñata Books on November 30, 2010! 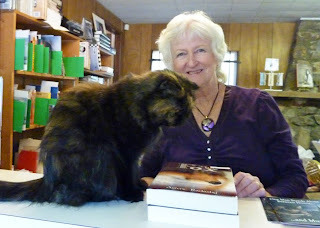 Wednesday, Sept. 1- Katherine Tegen (editor) interview -- Publication day!